Comstock’s: You’ve been here less than a year. How would you describe Stockton’s fiscal situation? Deis: It’s dire. We have to come up with around $27 million in reductions by June 30, and that’s after already decimating most of the departments. When you have a city with the second-highest violent crime rate in the state and you eliminate 99 officers, you know there have already been some serious reductions. And yet we have another $27 million hole for next year. So we really have only a few options to deal with this, including further cuts and concessions from employees to help us reduce personnel costs. The third option is bankruptcy, which I view no differently than I would in my personal finances — as an absolute last resort. Even that is not a panacea because all it really does is hit the pause button, so you can go back and talk about the other two items. Comstock’s: How many total employees do you have? Deis: Fourteen-hundred, which is about half of what a normal city of 300,000 would have. So we’re a modest organization already. But it isn’t just the $27 million: The next year you can add another $7 million to $8 million, and the year after that is an additional $5 million. It just gets worse. So we’re trying to come up with a three-year game plan that doesn’t just kick the can down the road year after year. Then, assuming we can pull that off, we still haven’t dealt with the retiree medical liability. This city has made some very generous health care commitments to its employees, but it never funded it the way you do retirement. According to the latest actuary report, we’re looking at a $544 million unfunded liability. It’s staggering. It doesn’t have to be addressed in the next six months like the budget, but it has to be part of the conversation and involves both current employees and retirees. Comstock’s: Would you consider becoming a contract city that hires out essential city services like police service? Deis: Because of our size, contracting out the police department would be very difficult. We have some high crime rates here, and we would not want to give up the expertise our police force has acquired. That said, my predecessor has already contracted out a huge amount of our services, including all the maintenance for what is a pretty good-sized metro park system. We’re also seeking to contract out our golf courses and our civic auditorium, so I’d say we’ve already pretty much squeezed the blood out of that turnip. Comstock’s: California is one of many states that have taken steps to reform their pension systems. Ours applies only to new hires going forward, but some states have taken legal action to make some of their changes retroactive. If those cases are successful, would you consider taking a similar tack here in Stockton? Deis: I can’t see myself going there. There are already too many other issues we’re trying to deal with. That would be like tossing a lit match into gasoline. The issue is that several years ago we enhanced these pension plans to the point where they are not sustainable. So I would tend to argue that we should focus on new hires but return to the basic formulas in place before government became the equivalent of drunken sailors. If we do that, the system could be sustainable again. I’m also still a proponent of defined benefit plans and would oppose changing to a defined contribution system for our workers because I think that is a race to the bottom. Just because the private sector has changed its model doesn’t mean we have to do the same thing. Comstock’s: We’ve talked a lot about employee cuts and concessions. There is certainly a feeling among some workers that they are bearing a disproportionate amount of the load here. Some point specifically to a large salary increase for your position when you came on board and to your hiring of a new deputy city manager, a position the city didn’t have before. What’s your response to those concerns? Deis: It may not happen overnight, but my goal is to get all of our employees roughly into the same place. What does that mean? It means we get the Council to agree to a compensation goal and philosophy and then we apply it to everybody, including me, the deputies and everyone in the field. But the reality is that what kicks out of that method is that I’m going to make more than someone that answers the phones. I won’t argue whether I’m worth more, but that’s the market. I can say with confidence that if you look at my peers with like experience in like organizations, I’m paid less than the average of the labor market. When it comes to hiring the new deputy city manager, I’ll say this: If the Council wants to accomplish the things they have asked me to accomplish, I need the staff to do it. Our new deputy city manager (former San Joaquin Partnership President and CEO Mike Locke) is now in charge of the four departments that have the greatest impact on our economy. The Council wants to enhance economic investment in this community and to create jobs, and I can’t do that on my own while also balancing the budget and achieving their other goals. I need someone focused on that goal, and the person I hired has 16 years of experience doing nothing but working to bring new employers to this region and encouraging current employers to expand. Comstock’s: The public these days generally has a very dim view of government. Is it also part of your responsibility to ensure that citizens understand how their government is working? Deis: Absolutely. You can have the best product in the world, but if nobody knows about it you are dead in the water. So I own the responsibility of not necessarily educating people, but informing them about what the city is really up to. I’ve lived in Northern California for a number of years, and there is a perception of Stockton, some of it perpetuated in the media, that is pretty negative. That angers me. I’ve been immersed in going out and meeting people here, and they are also really offended at that. It also plays out in trying to attract employers. It’s my experience that in a vacuum of information, anecdotal experiences determine people’s opinions and that negative stuff obviously attracts the most attention. So one of my jobs is to communicate what we are doing and to let people know we have a plan. 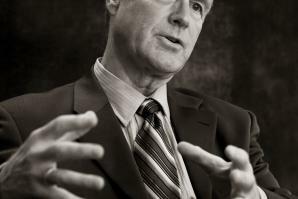 Comstock’s: Are you seeing any positive shift in that perception from outside employers? Deis: Oh, absolutely. I have met several times with many of the CEOs that drive Stockton’s economy, and the feedback I have received from them is that this is the best situation for Stockton in 20 years, particularly in regard to the City Council/city manager combination. Things are positive, and people are working together. I’ve told them we’re going to change our culture and how we interact with business and approach our regulatory function. There’s going to be a whole new filter on how we approach making decisions. They love it. 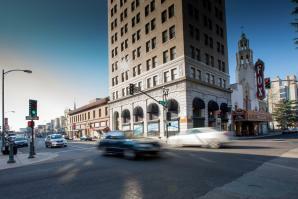 Since filing for bankruptcy last year, Stockton hasn’t seen any immediate improvement. The city ended the year with 71 murders, a steady climb from only 26 in 2009. The rise has been attributed to a shrinking police force after the city slashed the department’s budget.